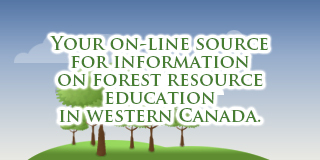 This course introduces the Reforestation Standard of Alberta (RSA). It then describes the background to the RSA and gives an overview of the Establishment and Performance Survey phases. It provides the standards and procedures to assess the level of reforestation success following harvest. Participants should be able to accurately and consistently complete an RSA Establishment Reconnaissance and Intensive Survey, determine the stocking of an opening and report the results. Upon completion of the course, successful participants should understand the role of Regeneration Performance Surveys in assuring forest sustainability and be able to complete RSA ground Performance Surveys. Foresters, Forest Technologists, Forest Technicians, and anyone interested in learning about or performing Reforestation Standard of Alberta (RSA) Surveys. The tuition for this course will be determined pending locations & class sizes.